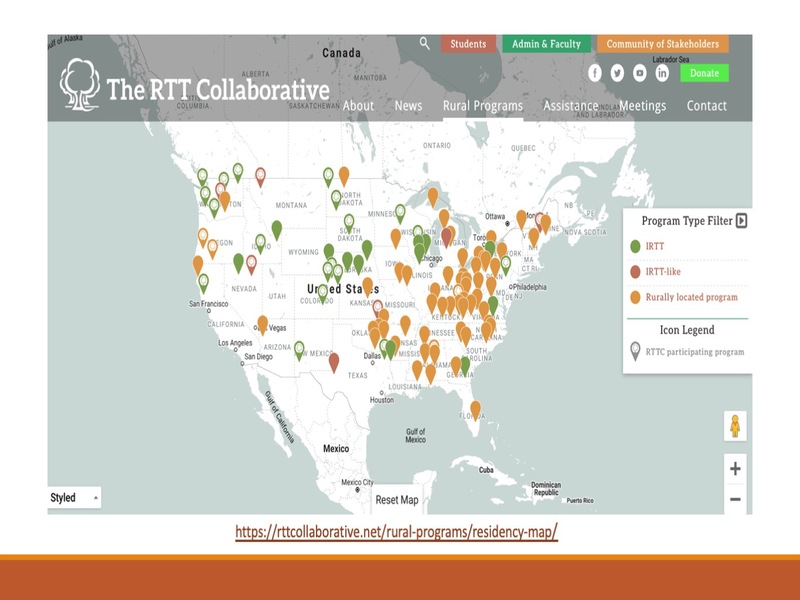 Visit our new interactive map, which can be filtered to show only Integrated Rural Training Tracks (IRTT), IRTT-like programs, and/or rurally located programs. Be sure to zoom out to catch the one program in Hawaii, and zoom in to explore your own region of the country. Mouse over programs for the rural town and state, click on the pin, and get more information, especially for the programs who are participants in The RTT Collaborative.